Best-selling novel The Secret Diary of Adrian Mole comes to London’s Ambassadors Theatre this June, following acclaimed performances at both the Leicester Curve Theatre and London’s Menier Chocolate Factory. Adrian Mole is aged 13 and 3/4 , and is a tortured poet and misunderstood intellectual. On top of that, he’s also a bit hapless and very spotty. Through his hilarious secret diaries, Adrian writes about the relatable situations of unrequited love, family struggles, and teenage angst. Set in 1980s Leicester, the story perfectly captures the zeitgeist of Britain in the 1980s. Sue Townsend’s novel was first published in 1982, and has since sold over 20 million copies worldwide. The success helped to spawn a further seven novels, as well as numerous stage, film, and radio adaptations. The Secret Diary of Adrian Mole Aged 13¾ -The Musical has a book and lyrics by Jake Brunger, music and lyrics by Pippa Cleary, direction by Luke Sheppard (<em>In the Heights</em>, and choreography by Rebecca Howell (<em>Man of la Mancha</em>). 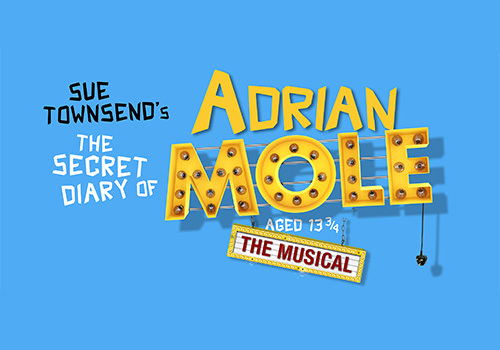 The Secret Diary of Adrian Mole Aged 13¾ - The Musical will play at the Ambassadors Theatre from 15 June – 12 October, with a gala night held on 2nd July. This show is suitable for ages 10+.